"Wow!" 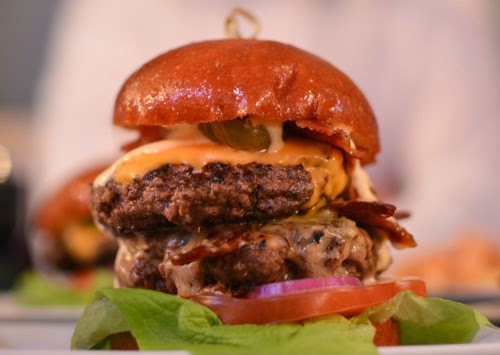 i hear you say, "Now that's a tasty looking burger!". 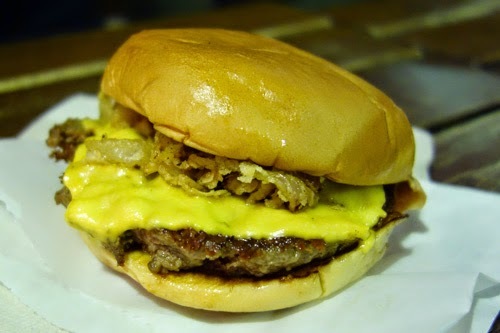 This is the double patty offering from not-that-newish popup YEAH! Burger in The Star of Kings boozer right over the road from KERB, a five min stroll up the road from Kings Cross Station. A newish venture from Neil Rankin who rose to fame Head Chef at Pitt Cue Co. Eggs are the feature here, pretty much everything involves eggs in some way. Apart from my favourite item that is - the Korean pulled pork burger which came with no eggs, and ya know why? Because eggs have no place on a burger, that's why god damnnit. "Wow!" i hear you say, "What a tasty looking burger!" Well yes, isn't it! A bunch of cheeky Frenchmen from the successful Big Fernand chain over in France (9 restaurants have opened in the last 3 years. 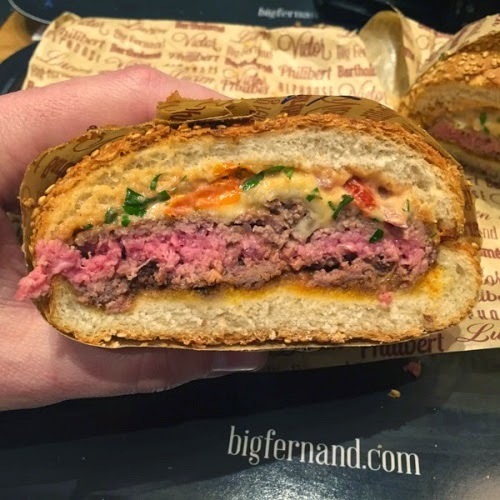 6 in Paris) have invaded our shores with the intention of showing us RosBifs how burgers should be done. Shake Shack have a new offering on the menu, the "ShackMeister" (£6.25 single, £9.50 dbl) Apologies for the crappy photo's. It was launched in the US last year and as it has done so well, they decided to bring it over the pond to Laaaandon town for us Brits to enjoy too. How kind. Twenty one stores open in the UK in 18 months. With another 5 opening soon. 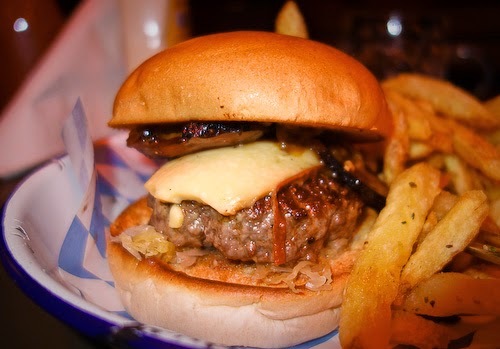 This is an invasion, a takeover the like of which the British burger scene has (probably) never seen before. Initially put off by @yesiamben's experience, I thought it time i try it out to see what its all about. 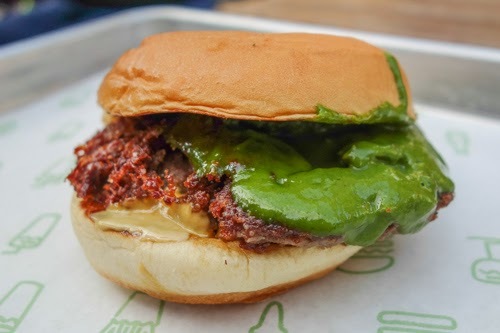 [@yesiamben] At lunchtime on Sunday I popped along to Shake Shack in Covent Garden to try a very special, limited run of 500, first come first served burger. 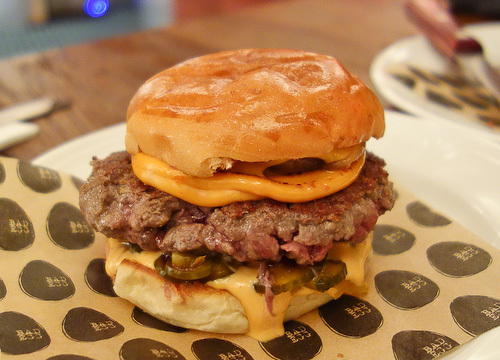 The 'Emilia Burger' (named after the Emilia-Romagna area in Italy) was a collaboration between Shake Shack and Massimo Bottura, the owner and chef patron of Osteria Francescana. For those hearing the name for the first time, Osteria Francescana has 3 Michelin stars and was ranked the world's 3rd best restaurant in 2013. 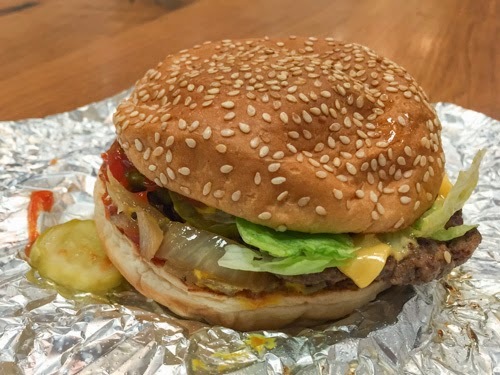 He'd made this burger as a limited special in New York for Columbus Day (and apparently it had gone down pretty well), so I was kind of excited to give it a go. [@yesiamben] Yesterday I headed over to Honest for the inaugural night of their new special, the 'Oktoberfest'. It's no secret that Cheeseburgerboy and I both love Honest. We've been fans from the first night we sat outside waiting on a bench in Brixton market right through to today, where they can claim 7 restaurants. And the Soho branch is usually where I direct people who message and say "I'm in central London, where can I get a good burger?" (you know, because even if you have to queue they'll take a number, let you go for a pint and call you when they're ready [cough, cough] Patty and Bun :).